Nice long exposure, like the sky !! This amazing image really is Essence of Water and this serves as an invitation to Essence of Water Please tag your image with "EOW"
Gorgeous shot; love everything about it…. Gorgeous colors. Love the reflection in the water..
I’ve taken the liberty to post a little homage to you in my photoblog hoping you like it. Great shot. Did you use a neutral density filter? You usually have great colors, how do you get them so vibrant? Few photos stir up a mood like this one. It’s lovely! Really nice — the cloud streaks from the long exposure add a lot. Give us a break !!!! will you i will smash my camera !!!! Very energetic but at the same time soothing photo! 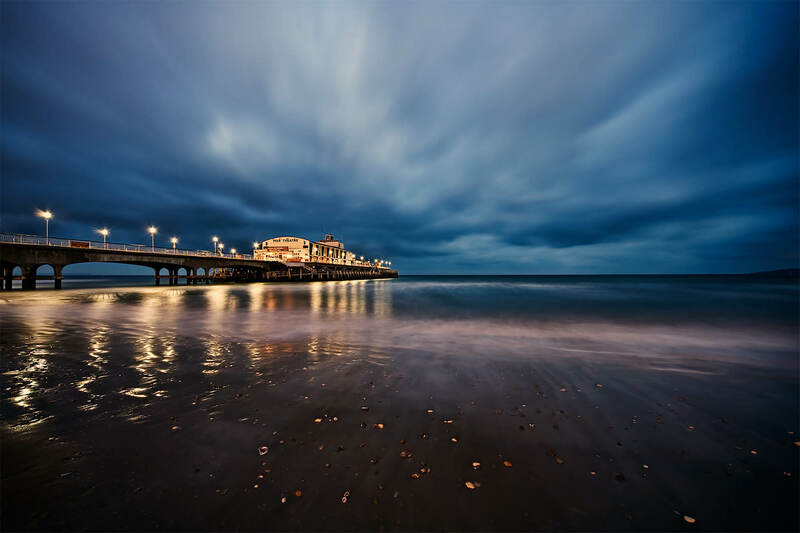 I spent 4 summers in Bournemouth and this photo reminds me all the great moments I had there. Lovely pic. Stunning shot, Andy. Has a wonderful atmosphere. Awsome shot, you can even see the colours of the stones on the beach. A beach I know so well! Hi, I’m an admin for a group called Love UK, and we’d love to have this added to the group! We’re moderating all contributions at the moment. If you’d like to add photos, you only need to submit them once. We’ll be featuring our favourite contributions on the VisitBritain website too. Thanks! Amazing photo, I love this one. Stunning! Can you give me permission to paint it, please? Thanks Phil, depends what it’s for. how can I get in touch with the owner photos??? I’ve sent you an email aneta.